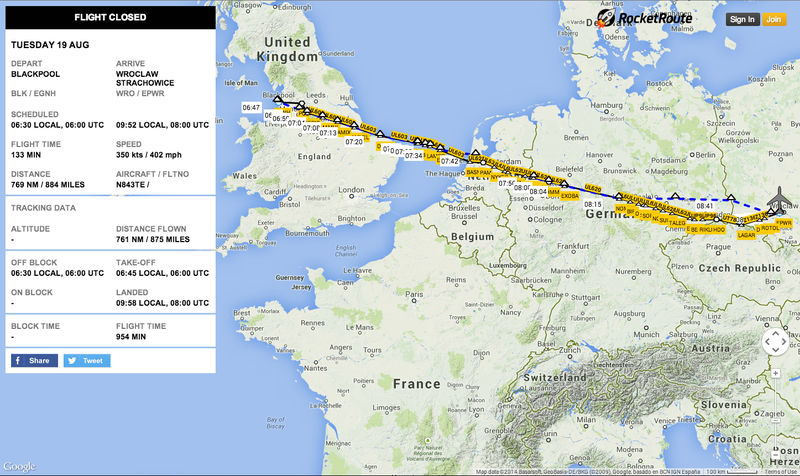 RocketRoute introduces Real-Time Flight Tracking for flights in Europe. This new service is available immediately for all paid-members. A free 14 day trial is available for operators and pilots interested in trialing the service. Real-time flight tracking has become essential for jet operators to follow their charter flights, for airlines to monitor flight schedules and for pilot-owners to keep family and friends informed. With this new service, RocketRoute now brings to members an integrated solution at a highly competitive price - covering flight planning, briefing, filing, dispatch and now tracking. To deliver this service, RocketRoute interfaces with Eurocontrol and stores ATC aircraft position data. This is then presented as a convenient overlay on top of the planned route showing Scheduled versus Actual Flight paths, times and distances. The Professional's Choice for Worldwide Flight Planning.